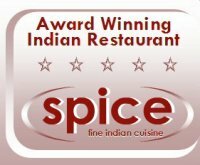 What a breath of fresh air, Spice Indian Restaurant is the latest eatery to open its doors to the people of Lisburn. The restaurant is in close proximity to Hillsborough, Dunmurry, Crumlin, Dromore and Ballynahich. The interior is tasteful, on close inspection you can see that no expense has been spared to create an ambience that every curry lover will appreciate. Feel free to have a look here. The restaurant has been designed so everyone can enjoy it. There is a lift to the first floor, inside there are ramps so that the disabled can reach any area of the restaurant. Children are welcome and the restaurant has the added benefit of baby-changing facilities, including highchairs and an extensive children's menu. Himalaya - An authentic Indian restaurant. Web Link: Himalaya - An authentic Indian restaurant. If you are looking for Indian food in Lisburn which is of a high quality and provided by friendly staff, look no further than Himalaya. The Himalaya Tandoori Restaurant and Takeaway is located in Lisburn City, and being fully licensed boasts the status of "The Ultimate in Indian Cuisine ". Authentic Indian Restaurant in Lisburn We were recommended in Pat Chapmans "Cobra" - Good Curry Guide. So, when you are looking for a tandoori restaurant and takeaway which is fully licensed, and offers authentic Indian restaurant food, call us and find out more about our services. We can offer lunch time and evening meals, as well as catering for private functions. There are many lunch time offers and evening specials on offer at this 100 seater restaurant including set meals, set menus and kebabs.